This post brought to you by Biz Stain & Odor Eliminator. All opinions are 100% mine. Anyone with children will understand when I mention the term laundry challenges. My Ethan, although turning 6 this summer, still creates some of the hardest laundry stains I’ve ever encountered. We were sent a 32 oz. Biz Liquid bottle to try on our everyday laundry. I have yet to find a stain fighting liquid like this that is effective on my children’s stains so I gladly accepted the challenge. This one particular day Emma and Ethan were enjoying the outdoors with temperatures in the 80’s. Both of them typically consume several popsicles a day during the summer, and as usual Emma’s shirt (on the left) was used to clean up the mess. 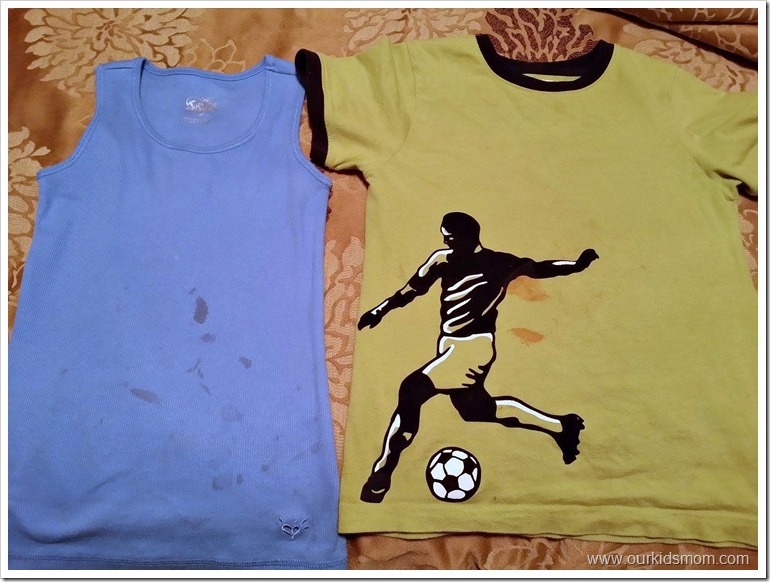 Ethan’s shirt, on the right, was the target of overflowing ketchup from his hotdog at lunch. Both of these stains occur multiple times in a week for me during the summer. I decided to tackle these stains head on and used the Biz stain fighter directly on the spots as a pre-treater. I poured a little on the stains and rubbed it in. Both shirts sat for a few minutes while I loaded the washer and then I tossed them in. I was pleasantly surprised how easy Biz was to use and it removed all of the stains the first time through. I know with summer activities around the corner I will be using Biz to treat grass stains, blood (yes, Ethan is a clutz), spaghetti sauce, barbeque sauce, more ketchup and popsicles and most likely watermellon. 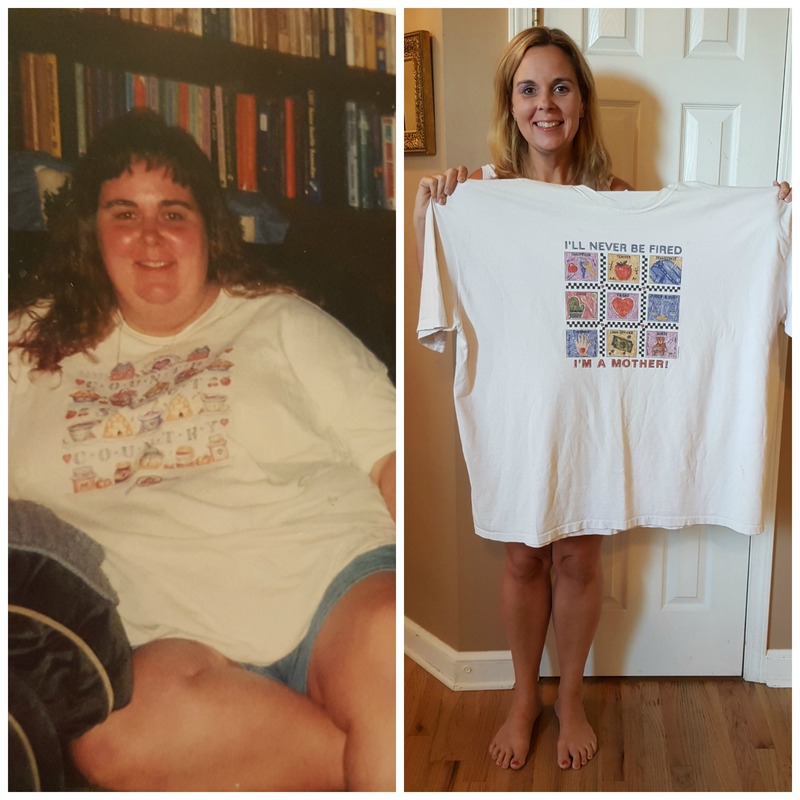 Biz gives Mom’s confidence to do more and eliminates the fear of laundry stains and odors. Biz cleans up to 80% better than washing with a detergent alone because Biz contains more stain fighting ingredients. 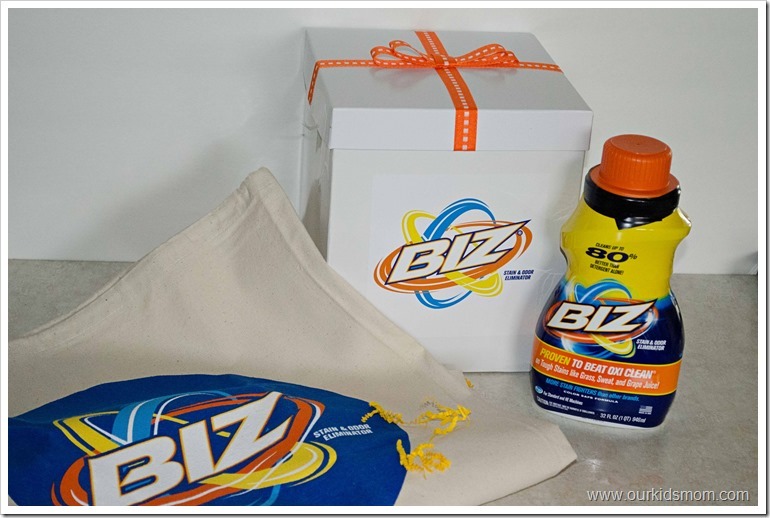 Biz is proven to work better on tough laundry stains and they have lab tests to prove it. 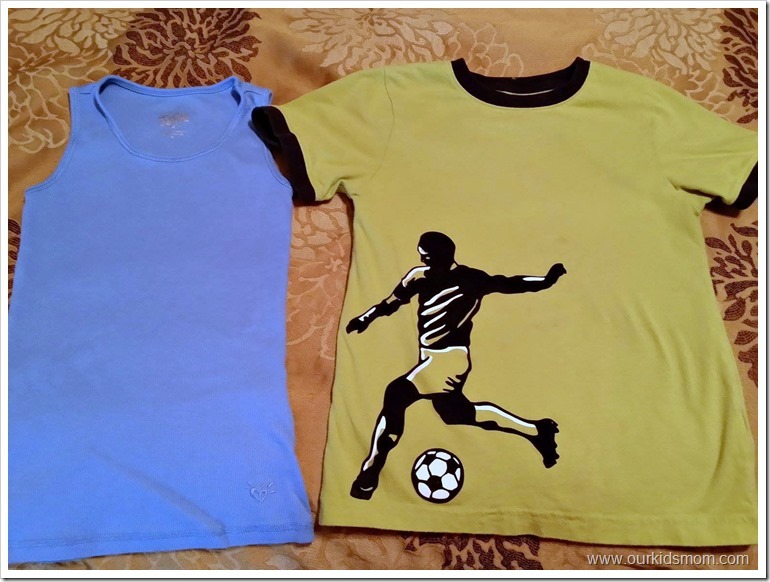 Use Biz with detergent, use as a pre-wash stain treatment. The Biz you’ve known and loved (actually the same Biz your grandma and mother probably knew and loved too!) 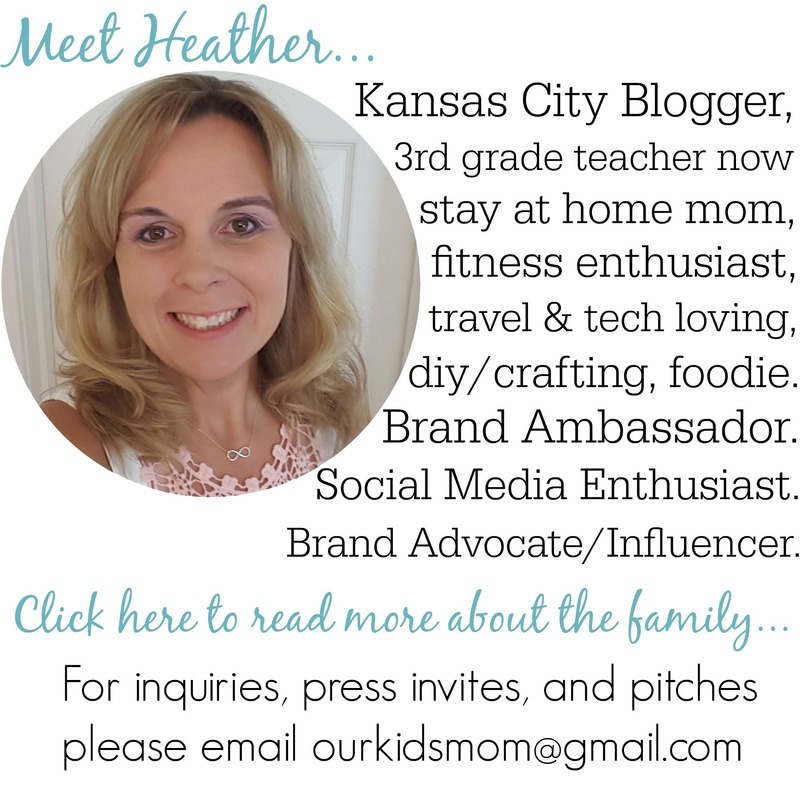 has recently undergone a 21st century makeover!! Don’t worry, the ingredients that make it so great haven’t changed, just the package it’s housed in. Biz has an updated logo and color scheme – so be sure to take notice! Check out (http://www.bizstainfighter.com…) to find out how Biz compares to other brands and then find out yourself by taking the Biz challenge! 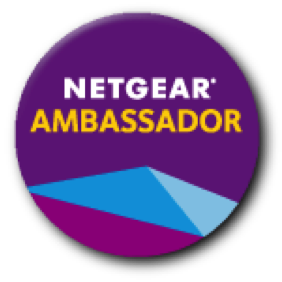 Download this coupon to save $1 on Biz and try it for yourself! Wow, that did an awesome job of getting those stians out! Looks like it worked well for you. No kids, so no major stains at my house. I love Biz. I use it to pretreat stains all the time. Trust me that it works great. My son can stain just about anything. His nickname is pig pen. Thanks for the review! i always have tons of stains i cant get out… so im going to have to try this!! 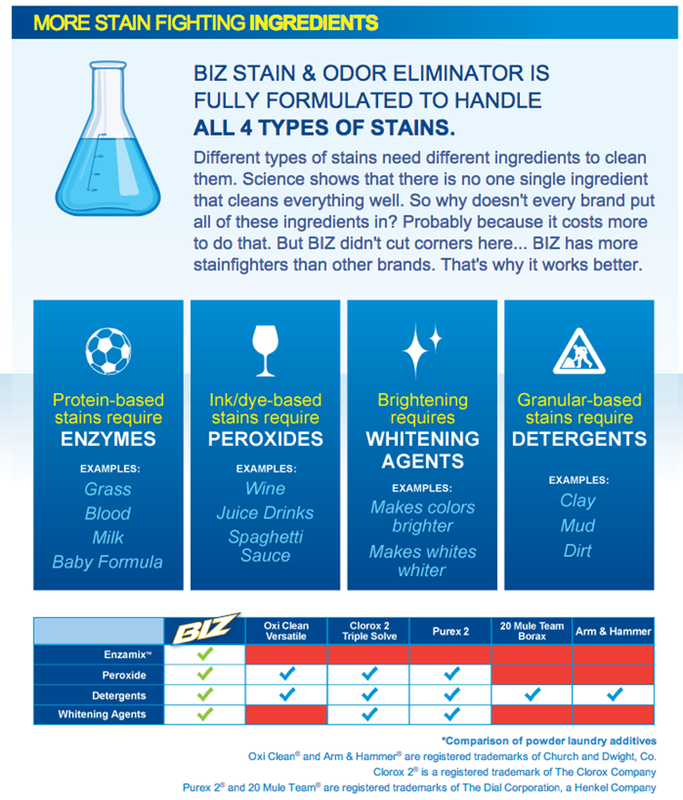 I have never tried Biz , but now that I realize how many different stain fighting ingredients it contains I shall be trying it soon! i don’t use biz but some other brands. after hearing about how well it works i will give it a try and see what i think. thanks for the review.